Retirees tend to be more confident about having a financially secure retirement than current workers, according to the Employee Benefit Research Institute. 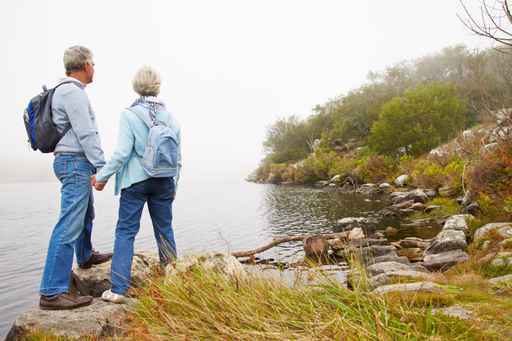 Retirement confidence is highest among workers who say they or their spouse have a retirement plan, such as a work-sponsored plan or an individual retirement account (IRA), reports the Employee Benefit Research Institute (EBRI). In its 2015 Retirement Confidence Survey, EBRI found that 28% of those with a retirement plan said they were “very confident” about their ability to afford retirement, compared with just 12% of those without a plan. In addition, 34% of workers who said they or their spouse have a retirement plan had saved at least $100,000 for retirement, while 64% of those without a plan say they had saved less than $1,000. EBRI found that overall retirement confidence continues to rise from the lows of the 2009 to 2013 period, as 22% of workers were very confident in their prospects for retirement, compared with 13% in 2013. The percentage of workers saying they are not at all confident remained statistically unchanged at 24%. Retirees also exhibited a brighter outlook, with 37% saying they were very confident in their ability to afford retirement, compared with just 18% in 2013. The cost of living and day-to-day expenses were the top reasons for not saving (or not saving more), with half of workers reporting these factors as deterrents. Despite these factors, however, nearly 70% said they could save at least $25 more per week than they had been setting aside. Although the percentage of workers reporting strong confidence in their ability to pay for medical and long-term care costs has increased over the past several years, the 2015 percentages are still cause for concern. Just 18% of workers said they are very confident they will have enough for medical expenses in retirement, while 14% said they were very confident about paying for long-term care costs. Sixteen percent of workers said the age at which they expect to retire has changed over the past year; eight out of 10 of those people said they expect to retire later than planned. Unfortunately, these workers may be in for an unexpected surprise–many retirees reported that they had to leave the workforce earlier than planned due to factors beyond their control. The 25th annual Retirement Confidence Survey was cosponsored by EBRI, a private, nonprofit, nonpartisan public policy research organization that focuses on health, savings, retirement, and economic security issues; and Greenwald & Associates, a Washington, DC-based market research firm. The survey was conducted in January and February 2015 through 20-minute telephone interviews with 2,004 people, including 1,003 workers and 1,001 retirees. Full results can be viewed at www.ebri.org.